Fabricated of stainless steel alloy 18-8, type 304. 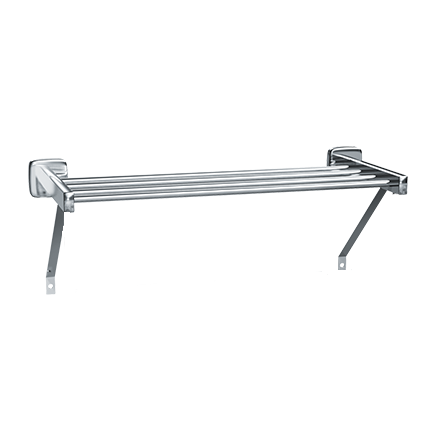 Shelf posts shall be 1/2″ x 1″ (13mm x 25mm) rectangular tubing with formed mounting flange and bracket welded on end. Cross tubes shall be 3/8″ diameter (Ø10mm) and shall be held in receiver holes in support posts. Bright finish.